30 years after the Exxon Valdez, have Alaskans forgotten its most important lessons? The Exxon Valdez oil spill changed some minds and hearts I never expected to change. Looking back 30 years later — the anniversary is Sunday, March 24 — I wonder if Alaskans today would respond the same way. As a young reporter for the Anchorage Daily News, I was there from the start and on the story through the first summer and several years after. The opportunity launched my career as a writer, creating a unique chance to jump from Alaska to the national level. But I would much have preferred if the tanker had never hit the rock. We saw a lot of death that summer. I remember motoring into Herring Bay, on the northwest corner of Knight Island, aboard the first wildlife rescue boat. The bay had been one of the richest and most spectacular wilderness sites in Prince Williams Sound, but now it was completely covered by oil. A beached sea otter writhed in agony and snapped in fury, slathered in oil, including its eyes. A sea duck flopped along the surface of the water, thickly glopped with oil, far too heavy to fly and with wings glued down into little sticks. All these animals were doomed. As Alaskans, well aware of the vastness and remoteness of our coast, the enormity of the disaster struck home. Far away, media could spin the devastation as something to be fixed. We knew better. That shock affected even development boosters who had worked to make Alaska an oil state. The trans-Alaska oil pipeline had been operating only 12 years. A leader I knew who had worked on pipeline construction financing threw his souvenirs in the garbage. Returning to Washington after seeing the oil, Sen. Ted Stevens lashed out at a meeting of oil industry executives, comparing his grief over what he had seen to his feelings at the death of his wife a decade earlier. “I don’t think there’s an Alaskan today who wouldn’t say, if the industry does not come forward with a reasonable plan, to shut the pipeline down,” Stevens said. Sen. Frank Murkowski responded to the moment with a powerful, wide-ranging bill that became the Oil Pollution Act of 1990, an environmental landmark. To write it, he adopted suggestions from activists whom Alaska’s establishment politicians had previously ignored and branded extremists. During the earlier debate over pipeline construction, fishermen and environmentalist had offered various cautions and suggestions. Industry representatives called the ideas impractical and too expensive — as they always do. The Exxon Valdez spill proved the environmentalists right in their most important warnings. For example, the industry had resisted building double-hulled tankers. The rock hit by the Exxon Valdez punctured its single-hull plating. Now double hulls are required by Murkoswki’s bill. In Alaska, the spill helped settle a debate on raising oil taxes that had lasted three years. The state was suffering its worst-ever economic recession because low oil prices had reduced state spending — much as is happening today. The industry, as it always does, said a tax increase would cause it to cut production. The increase passed. The oil companies kept producing. The state got the revenue it needed. sed to drilling for another 29 years, until President Donald Trump’s tax bill reversed the policy last year. What else changed in three decades? We’re again in a deep economic recession caused largely by cuts in state spending of oil dollars. But of all the options to address the state’s fiscal crisis, Juneau seems most afraid of increasing oil taxes. Gov. Mike Dunleavy would rather shut down the state ferries, close college campuses and lay off hundreds of teachers than talk about oil taxes. Facing climate change, which is ultimately a far greater threat to Alaska’s coastal ecosystems than spilled oil, Alaskans have avoided debating the wisdom of huge new fossil fuel investments in ANWR and elsewhere on the North Slope. Dunleavy got rid of a panel studying the climate. Environmentalists are again labeled extremists. Industry scare tactics work again, as in the defeat last fall of the Stand for Salmon initiative. Dunleavy put a lifelong development and mining advocate in charge of the environment. Over the past 15 years, Alaska’s environmental protections have been repeatedly rolled back. Oil taxes were reduced. Oil companies always want the least regulation and the lowest taxes. They get that from Alaska. Perhaps oil has been here long enough now to change Alaskans. For many of us, the oil industry has always been in charge. 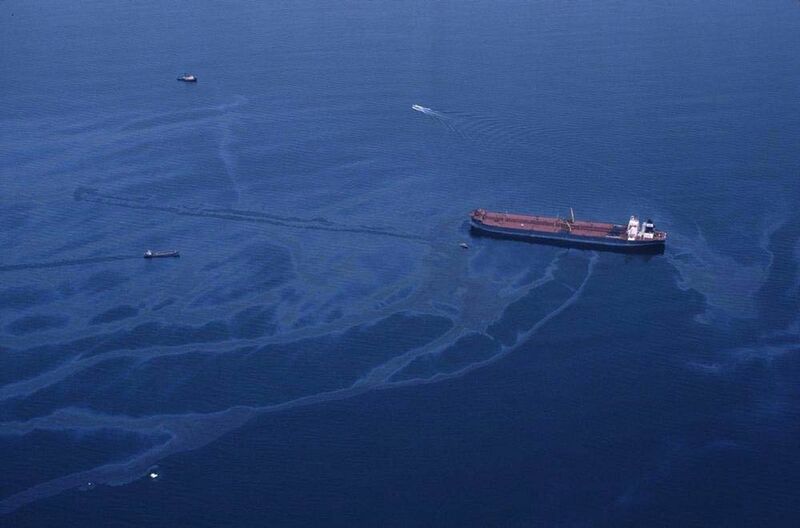 A spill like the Exxon Valdez might not affect us in the same way now. When oil hit the beach back then, many pro-development Alaskans could still remember when we used to build things — including ferries — without oil money. Politicians like Ted Stevens were authentically Alaskan, vulnerable to feelings of grief and regret over mistakes made in protecting our beautiful state. They were for oil development, but they were for Alaska first. What are we for now?